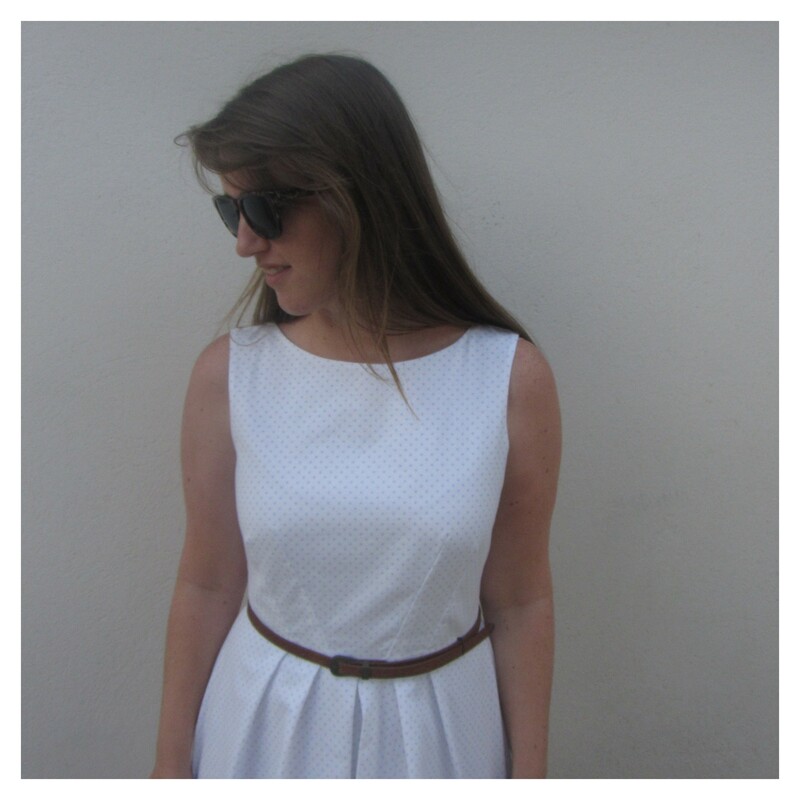 If you were wondering if I was ever going to sew a pattern as it had been designed, this is the dress. I finally got around to altering the bodice pattern to get rid of the upper chest bagginess, and the skirt is shorter than drafted, but other than that, this is the real Simplicity 2444. Pinching out the excess fabric at the neckline of my blue floral 2444 showed me I needed to remove about 4cm, or 2cm from each half of the bodice. 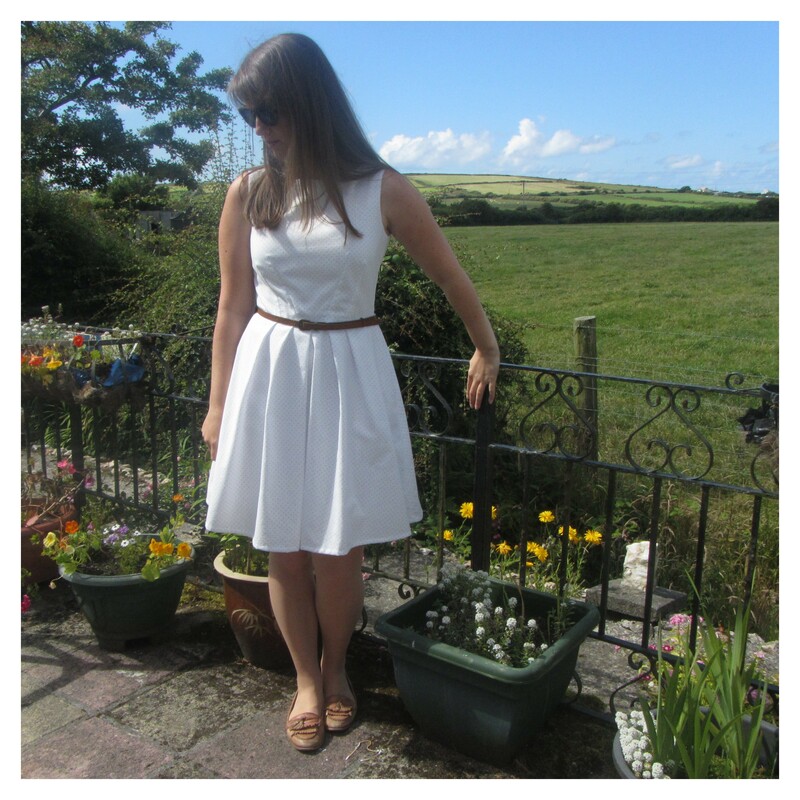 I followed the info in this post from Bernie and I to remove the excess as follows on both the front and back: The fabric is upcycled from a hand-sewn thick cotton sheet I got at a charity shop for £3.50 a few months ago and the lining is once again polycotton from the Remnant House in Bude. I decided to push the boat out and hand stitch an invisible hem (my first) and I’m pretty impressed with how invisible the stitches are. Maybe I should have french seamed things, but the overlocker won out for speed. The OCD part of me is really annoyed that the bodice darts and skirt pleats don’t match up. When I remake the skirt then I’ll alter it so they do, and also see if I can make that centre pleat lie better as this version sticks out a bit on the left. I drafted a simple a-line skirt for the skirt lining, which due to my lack of fabric (seriously, I need to learn to buy more than 1m of lining fabric) is a tiny bit tighter than I’d like, but still wearable. I think my upper bodice adjustment worked well, although I will take out another 2cm (1cm each side) next time as there’s still a little excess fabric. 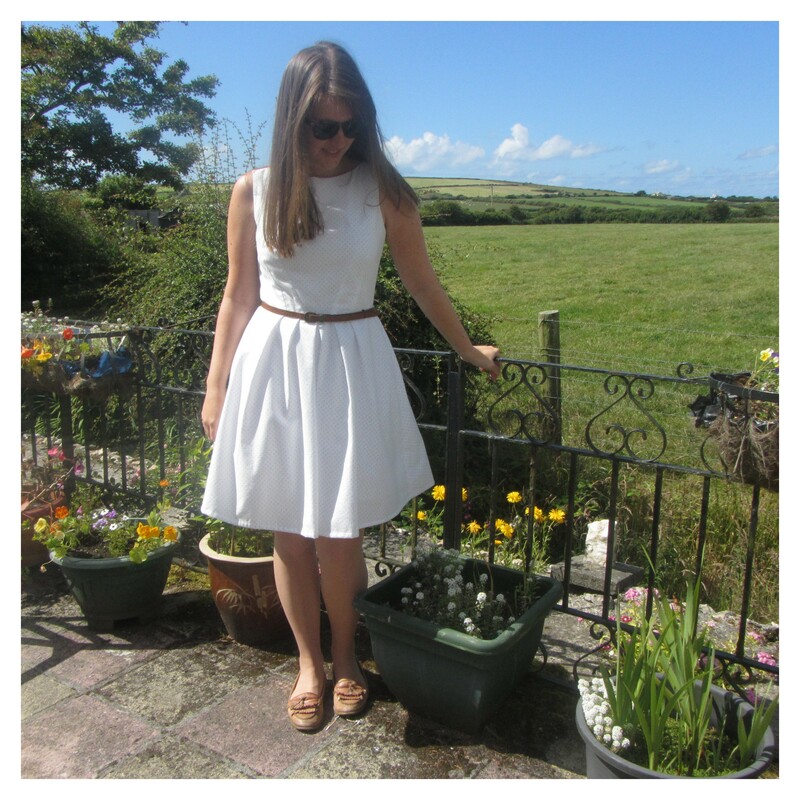 I do love this dress, but it’s just so white, I’m not sure it’ll get as much use as I want it to!